Among the 186 drivers competing in last weekend’s WSK Promotion Super Masters Series kick-off on the Adria International Raceway in Italy, HTP Kart Team had enough reason to celebrate on Sunday night with his rookie Arthur Tohum showing pleasant improvement in Juniors & Lorenzo Travisanutto winning the OK Final to lead the national series! 201,Travisanutto Lorenzo(ITA),Htp kart team(KART-REPUBLIC/IAME/BRIDG), Adria, 3 February 2019. WSK Super Master Series, © 2019, Alexandros Vernardis / The RaceBox. One week after the rehearsal at the WSK Champions Cup, the HTP Kart Team took off to Italy again. The 1.302 meters of the circuit of Adria welcomed participants from over 30 nations for the Round 1 of the WSK Super Masters Series. Two drivers were representing the colors of the team: Italian Lorenzo Travisanutto in OK and German Arthur Tohum in OK Junior. In addition to a strong list of international competitors, the weather made the race intense all through the weekend. Rain poured during Qualifying and the Heats to push humans and machines to their limits. But the team and their leader Christian Voß still mastered the difficult conditions. From the beginning, Lorenzo Travisanutto (KR/IAME) was included in the favorites of the OK category. The reigning FIA Karting World champion started from 12th position after the Qualifying into the Heats and fought his way up on place two, three and four – in the intermediate standings he was placed on a good sixth position. The Italian driver ended the Prefinal in 4th before he snapped the victory in the important Final. Towards the middle of the race, he fought his way up to the top and didn’t give up his position until the checkered flag was drawn. 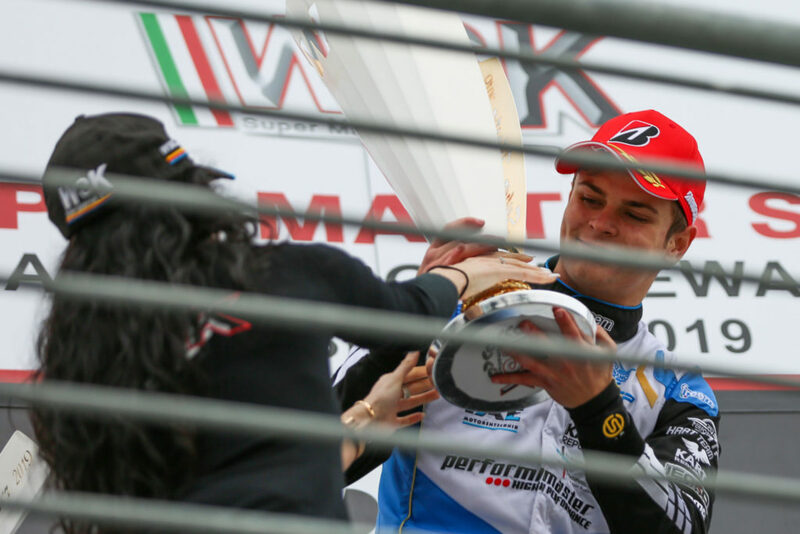 With his win, Lorenzo took over the leading position in the overall ranking of the WSK Super Masters Series. “Lorenzo constantly improved from the Qualifying to the Heats all the way to the Final and deservingly won the race. It is a great start into the new season. We will build upon this performance and will attack again in the next races”, Voß said in the evening. 306,Tohum Arthur(DEU),Htp kart team(KART-REPUBLIC/IAME/VEGA), Adria, 3 February 2019. WSK Super Master Series, © 2019, Alexandros Vernardis / The RaceBox. In the Junior class, rookie Arthur Tohum (KR/IAME) showed a pleasant improvement in the course of the weekend and made his way to the Final including the best 34 Juniors of the event. In the 16-lap race, he continued doing well and saw the checkered flag as the second best driver from Germany. “I am very satisfied with the presentation of the youngster this weekend. The conditions were not easy, he fought through it and kept improving. The entry into the Final is the well-deserved loan for his great performance”, team leader Christian Voß declared. Next step for the team from Altendiez: the IAME X30 Winter Cup taking place in Valencia this weekend, followed by the Round 2 of the WSK Super Masters Series from February 21st to 24th on the South Garda Circuit in Lonato, Italy. 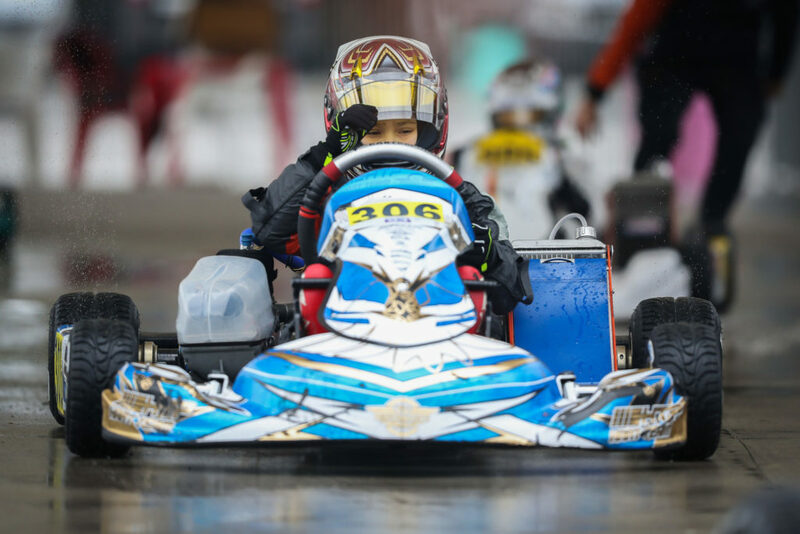 Click here to read our Sunday report from Round 1 of the 2019 WSK Super Master Series. We are also active on Facebook, Twitter, and Instagram.